I have been been a fan of cycling for some years now but over the last five years I’ve been hugely influenced by the women’s peloton. Their grace under pressure, heart and incredible talent is an inspiration. 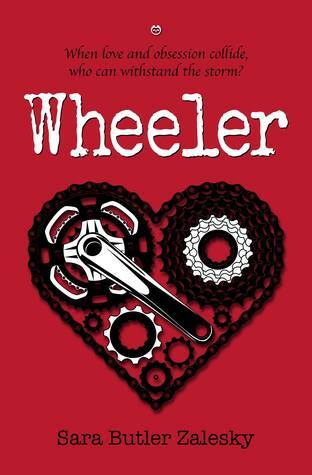 My ultimate goal for the hard copy of Wheeler is for the proceeds of each book sold to be donated to the Homestretch Foundation, founded by Kathryn Bertine, a former pro cyclist. She saw a need for women cyclists who wanted to compete but financially, had no way to train and earn a living. Homestretch provides the housing, equipment, training and nutrition for elite riders to have a chance to compete at the pro level. Loren and Graham connection develops into a complex relationship through the novel. What were the driving ideals behind the characters development throughout the story? There’s a parallel between being a pro athlete and an actor – long hours of training, constant travel, the media spotlight, but also the close relationships that can develop between teammates (co-stars). It takes the right mix of personalities to make it work or the film (or team) won’t succeed. I thought this would be an interesting, and realistic, pairing. They would need to understand how important their careers are, but also know that it could all end with one bad review, or the squeal of a car tire. I am currently wrapping up the first draft of the as unnamed follow up and I hope to have it to my editor by Autumn, 2017. Whirlwind romances are, of course, fun to read and daydream about, but the almost instantaneous and passionate relationship that Loren and Graham form feels forced. Their relationship is full of Shakespeare quotes and French puppy-love nicknames (hundreds of variations on mon amour and ma cherie are tired after awhile). But midway through the novel, Zalesky seems to hit her groove and relies less on these easy wordplays for content, allowing Loren and Graham to have more meaningful conversations. This is pleasing for readers, who may not have realized the novel they were reading would have more Shakespeare than they had read since high school. Overall, Wheeler offers readers an intriguing literary escape into the intense world of women’s cycling and creates a protagonist that readers will consider a good friend by the end of the story. While few people could withstand the physical challenges that Zalesky puts in front of Loren, it is the emotional challenges she faces that make Loren such a wonderful character. Wheeler examines challenging topics such as emotional and physical abuse, the difficulties of balancing work and relationships, and familial estrangement, and does not shy away from painful moments. 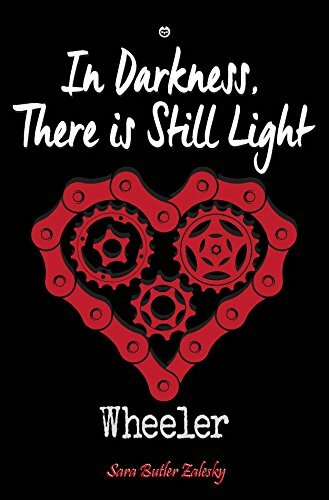 Multi-dimensional, inspiring, and sometimes heartbreaking, Loren will have readers rooting for her successes and looking forward to a second installment. Hopefully Zalesky’s second novel will come soon, as Wheeler’s abrupt end may catch readers off-guard, feeling almost as if they’ve fallen off their bikes unexpectedly.